The bus will leave EUMETSAT at 15:45 and from ESOC at 16:00 on Thursday the 3rd April 2014. 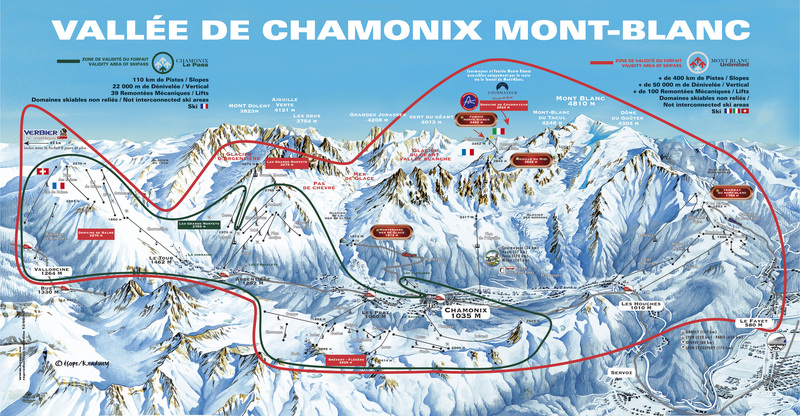 We will arrive in Chamonix late on Thursday night. On Friday and Saturday the EIS bus will take us to and bring us back from the slopes, the drop off /pick-up points are the Flégère and the Grands Montets (Argentière) lifts. On Sunday we make our own way to the slopes in the morning but will be collected at 14.30 from the slopes and brought back to the hotel. We will then leave the hotel around 16:00 arriving back in Darmstadt late on Sunday night. This year EIS are offering you the chance to try out some ski touring while on one of their regular trips. You can ski tour on individual days or all three if you fancy. So if you are interested, require more detailed information or want an idea of touring costs please contact Vincent Fournier-Sicre.